We don’t have to visit deep space to see the wonders our universe has to offer. In fact, unimaginable wonders are much closer than we think. In October, an astronaut aboard the International Space Station took a photo of Earth. However, the picture is unusual because it seems to show another world rather than our home planet. The photo was taken from 250 miles above Australia. The first view suggests some deep, hidden space in the universe which hosts a unique-looking planet similar to Earth. In a slight disappointment and an even bigger surprise, the glowing planet in the photo is just Earth with a strange, reflective glow known as airglow. You may recall from your high school science classes that Earth’s atmosphere is, in fact, multiple layers consisting of gases which surround our planet. In addition to providing the oxygen we breathe, our atmosphere has an important role. It shelters our planet from the sun’s damaging ultraviolet rays, which are responsible for various diseases such as cancer and have negative effects on plants. When UV rays hit Earth’s atmosphere, they energize molecules in the air, converting UV energy into light and releasing it above. This causes the atmospheric phenomenon known as airglow, which can be seen in the new photo of Earth. Thus, the picture does not actually show another world. There is always some degree of airglow in our atmosphere. However, it’s not always visible to astronauts. Moreover, the bands of color we can see are based on the atoms residing in different layers of the atmosphere. 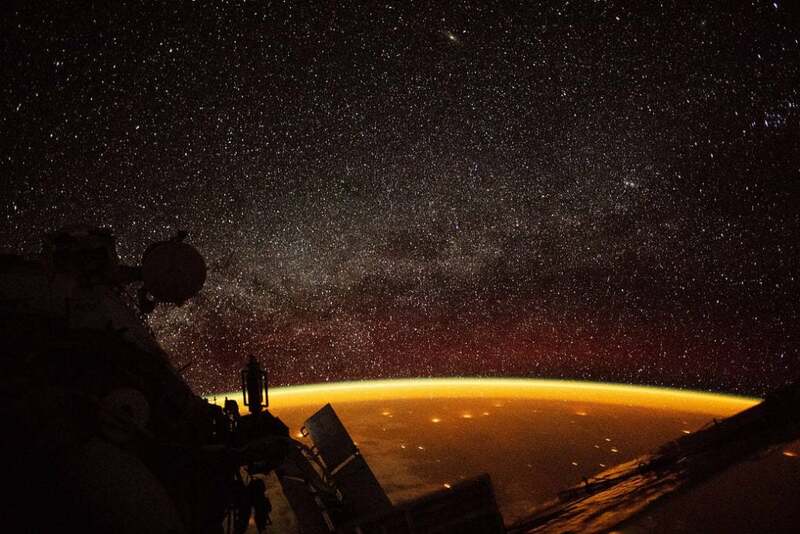 In the photo of Earth taken by the ISS astronaut, the airglow manifests in yellow and orange. However, Earth’s airglow usually appears red and green. NASA is studying the airglow which made Earth look like another world in the photo to gain a better understanding of how our atmosphere works. Because Earth’s atmosphere acts like a buffer between Earth and space, it can help scientists understand the link between weather changes on Earth compared to space. NASA planned to launch a new satellite called the Ionospheric Connection Explorer (ICON), which would watch over Earth’s atmosphere. The launch was scheduled for Nov. 7, although it was postponed due to a glitch in the rocket that was supposed to carry it into space. NASA wrote in a blog post that the satellite is in good shape and once it launches, it will monitor Earth’s atmosphere from an orbit 360 miles above Earth.